The Backpacker is designed for a pair of outdoor explorers on a four-day foray into the wilderness. 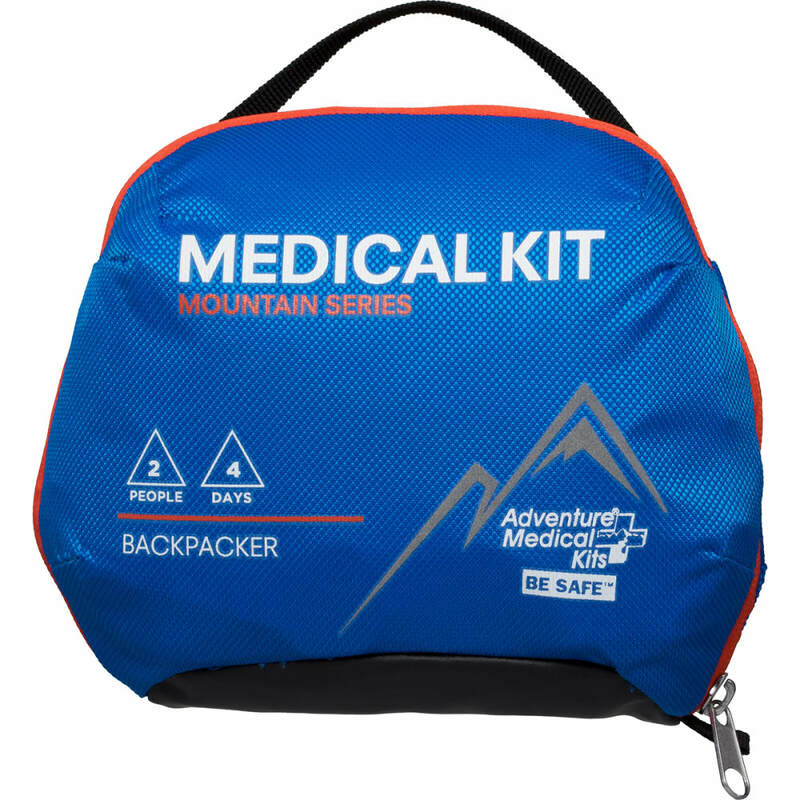 Outfitted with a handpicked assortment of first aid supplies designed to help your short adventure go smoothly, it contains remedies for a range of conditions—from cuts and allergies to upset stomach and dehydration. Whether you’re stretching out your weekend in the woods or embarking on a multiple-night hike, the Backpacker has your back. 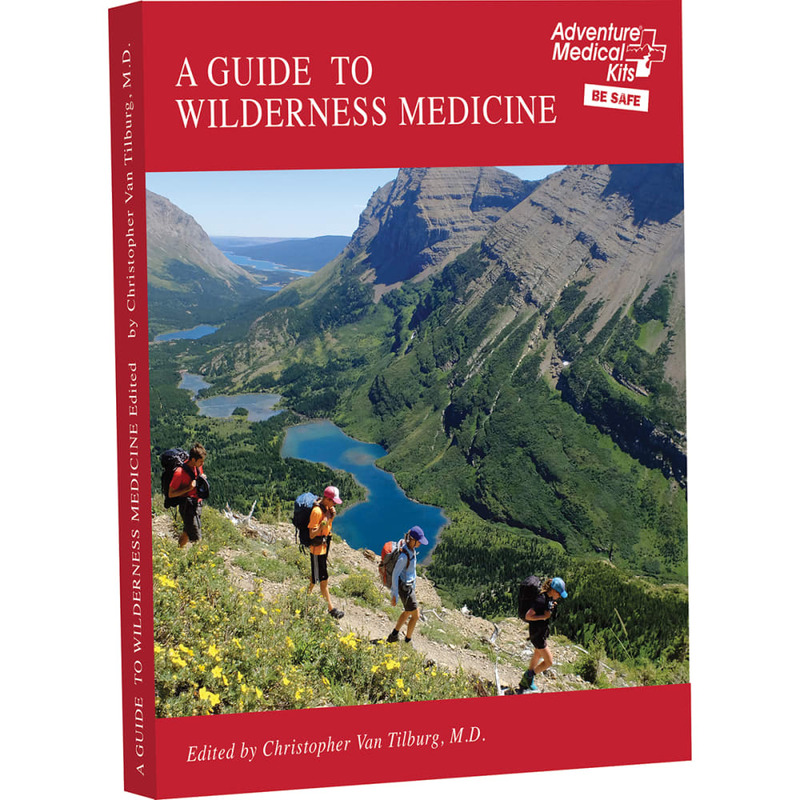 A Condensed Guide to Wilderness Medicine by Eric A. Weiss, M.D: Offering the most up to date information on wilderness and travel medicine in a fold-out format, this lightweight guide will help you treat both common and serious injuries. 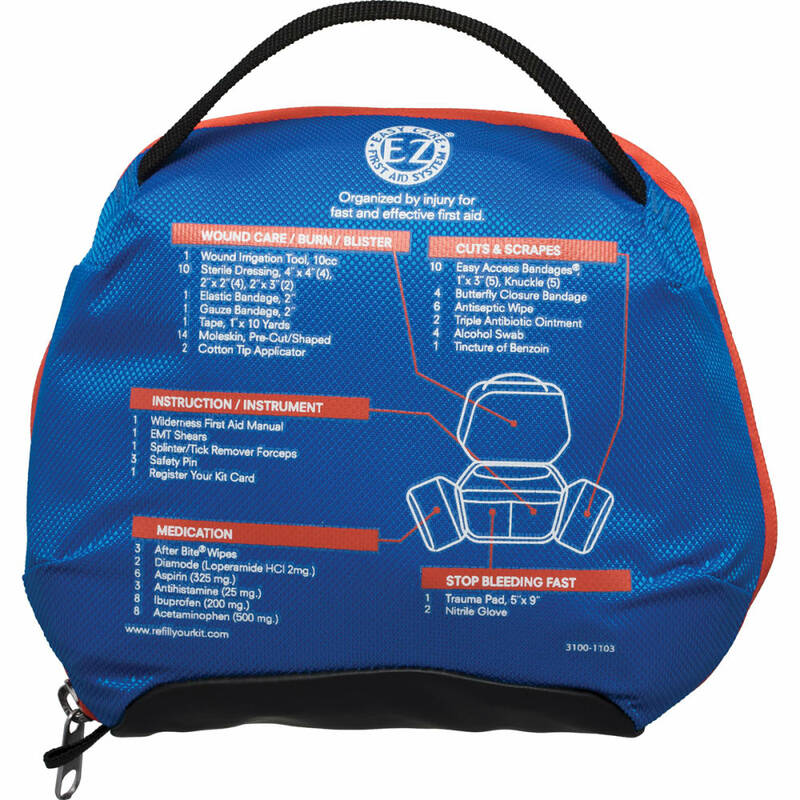 Easy Care First Aid® System: First aid supplies are organized in injury-specific pockets to eliminate guesswork and ensure you use the right treatment quickly. 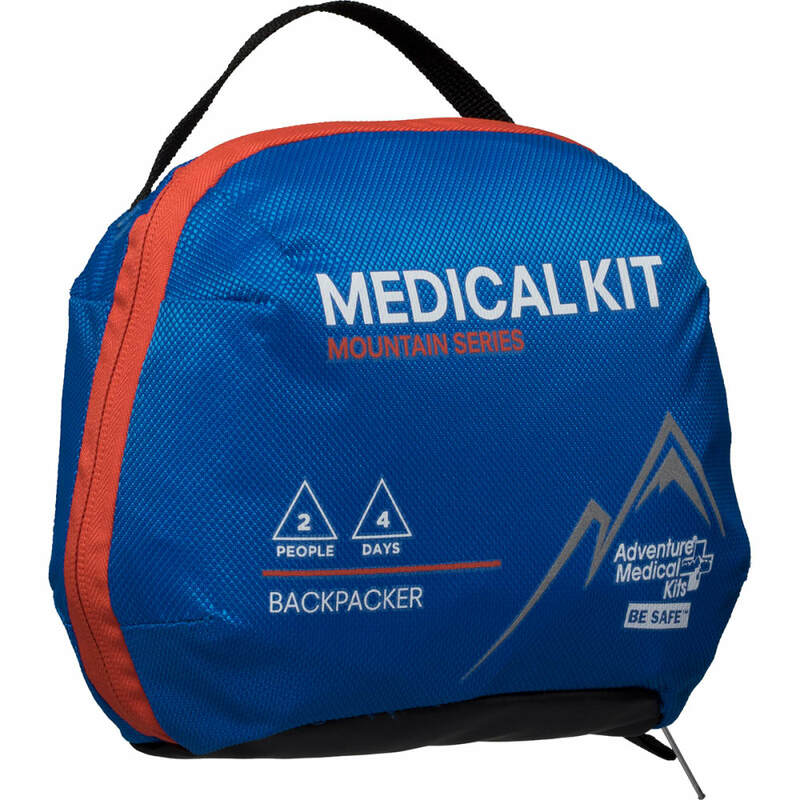 Find it Fast : Unique external kit map shows you where the supplies are located, while reflective mountain logo on front of bag makes it easy to spot in the dark when every moment counts. Semi-Transparent, Secure Pockets: See-through pockets protect items from dirt and moisture while allowing for quick and easy access. 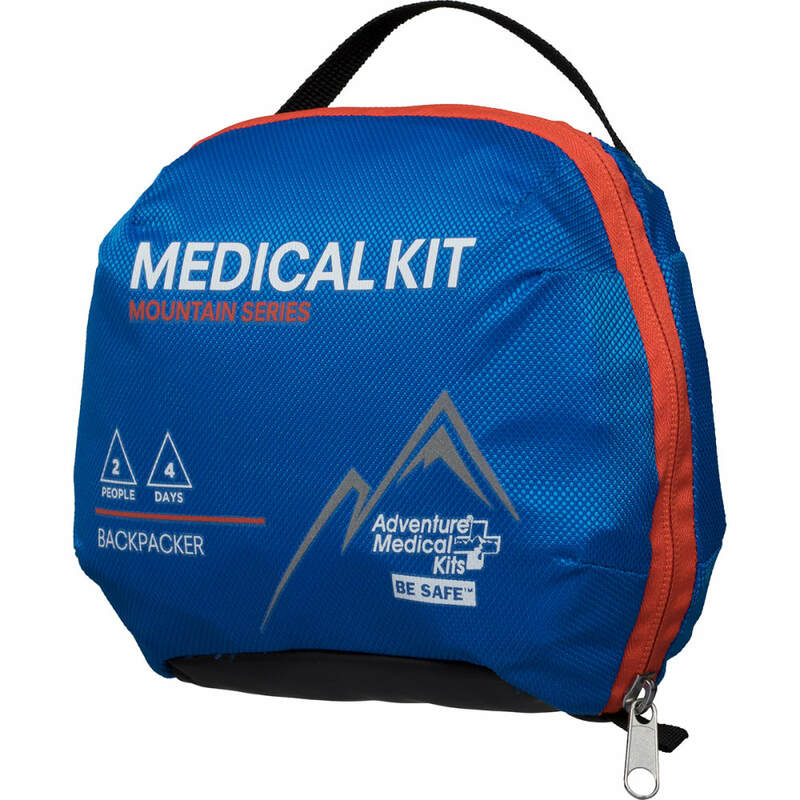 Zippers prevent items from falling out when opening the kit or accessing it in a vertical environment. 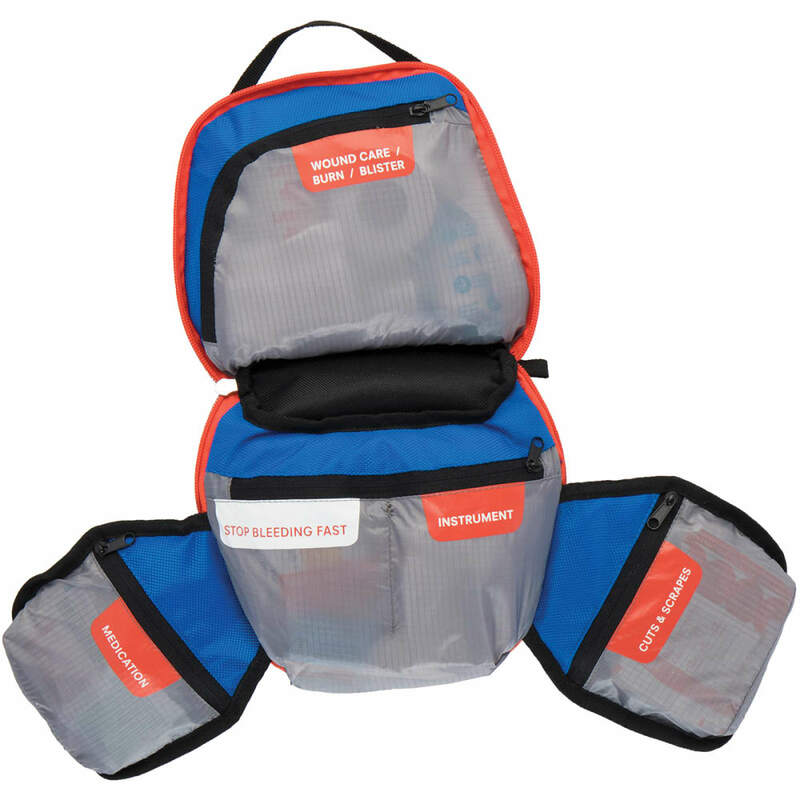 Trapezoidal Bag for Added Room: Ingeniously designed in super-durable nylon with darting to provide extra space inside the kit for your own items. Supplies to Stop Bleeding Fast: 5 in. x 9 in.Trauma pad and elastic bandage to control life-threatening bleeding. Pain and Illness Remedies: Medication for allergic reactions, itches, pain and fever, inflammation, and diarrhea. Hospital-Quality Tools: Professional tools, including EMT shears and precision forceps, ensure the most efficient and effective backcountry medical care. 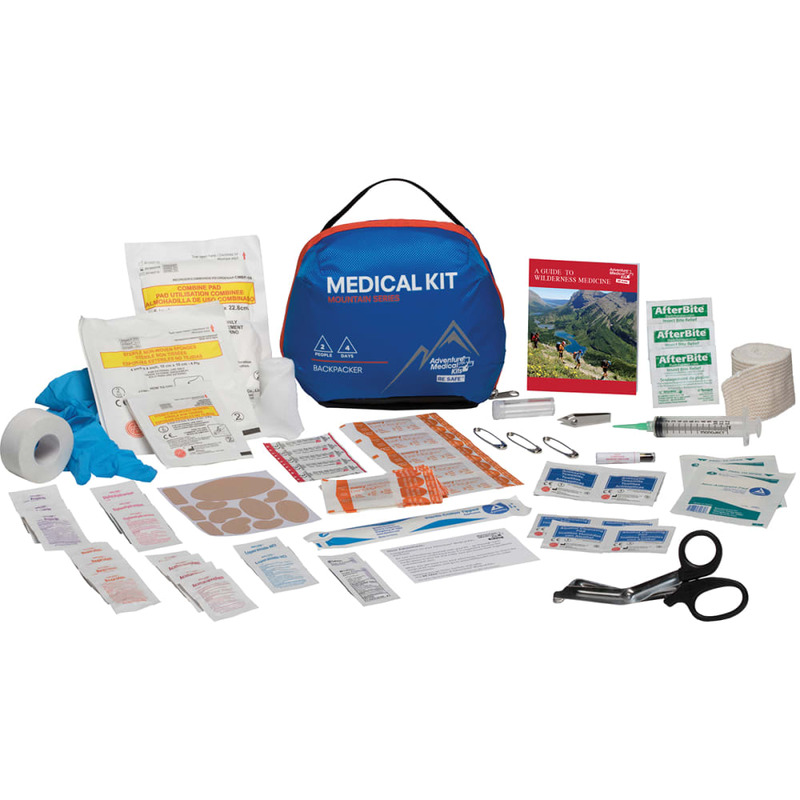 Wound Care Supplies: Use the 20 cc. irrigation syringe with a 16-gauge plastic tip to clean wounds, butterfly closure strips to close wound edges, and tincture of benzoin to increase the adhesiveness of strips and tape. Blister Management Tools: 14 pre-cut and shaped moleskin pieces make it easy to treat hot spots and blisters and alcohol pads for removing the oils from skin for better adherence of tape and moleskin. Size: 7.5" x 3.5" x 6"